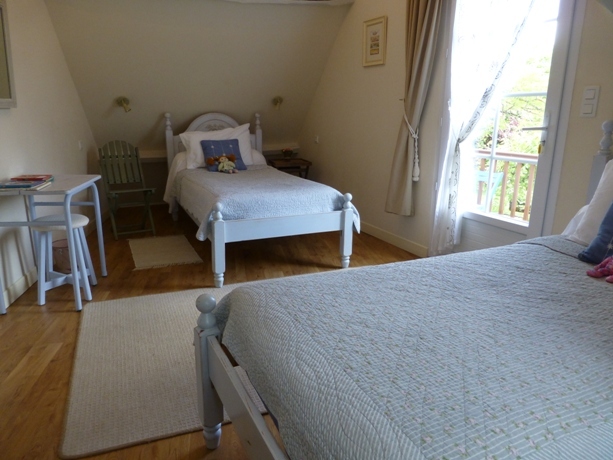 Our 4 guest bedrooms are light, airy and comfortable, each prettily decorated in soft pastel tones.Three of the rooms are situated in the old restored barn and the fourth in a private part of the main longere. With exposed beams and an eclectic mix of old and new furniture, much of which has been hand painted or distressed, each room has a very individual charm and character. 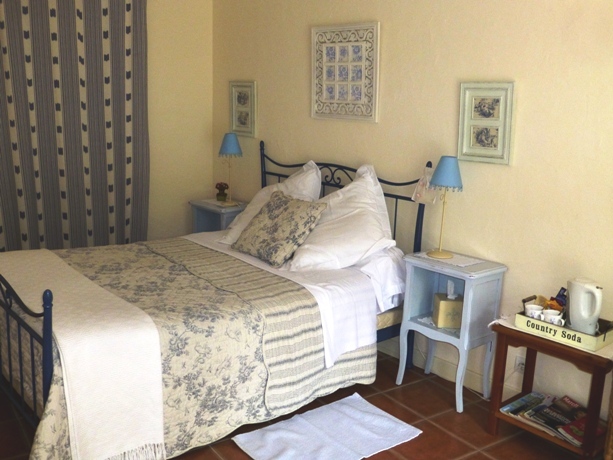 All of the rooms are equiped with large private bathrooms and each has either a terrace or balcony with views of the gardens. 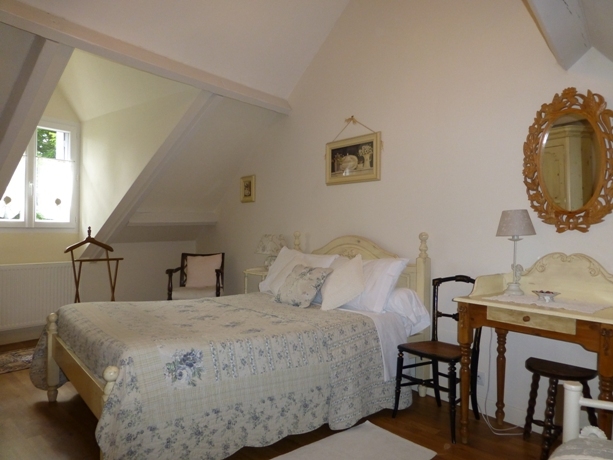 Situated on the first floor of the restored grange, our suite 'Marie-Charlotte' is ideal for families of 4-6 people and consists of two bright and comfortable rooms with exposed beams and windows with views over the gardens. 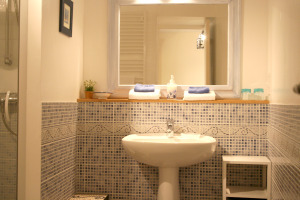 The bathroom is spacious and modern and has a separate toilet. 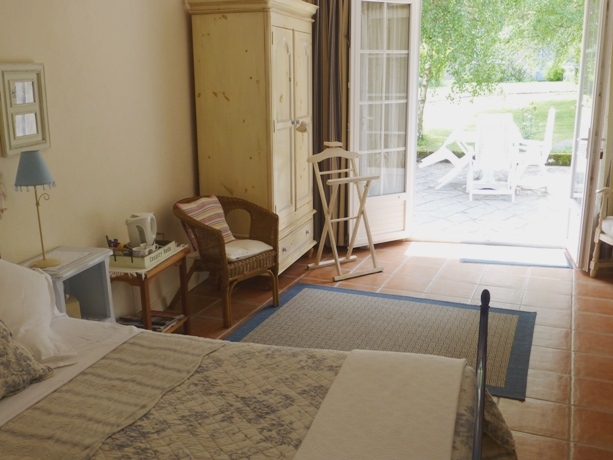 Access to the suite is via a wooden staircase which also has a balcony with views of the gardens and the neighbouring vineyards. 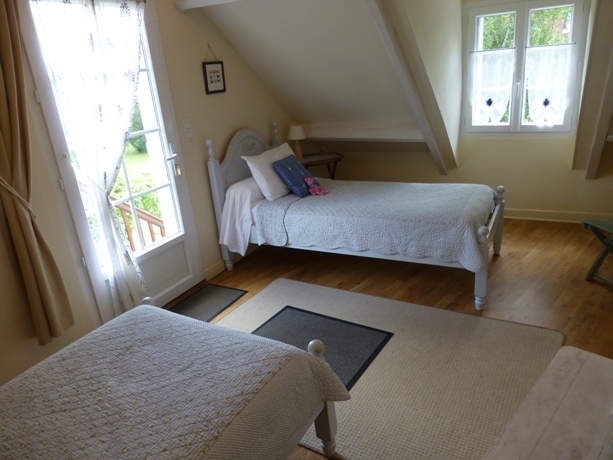 A very charming room situated on the ground floor of the restored barn with double opening French doors leading on to the south-facing terrace. 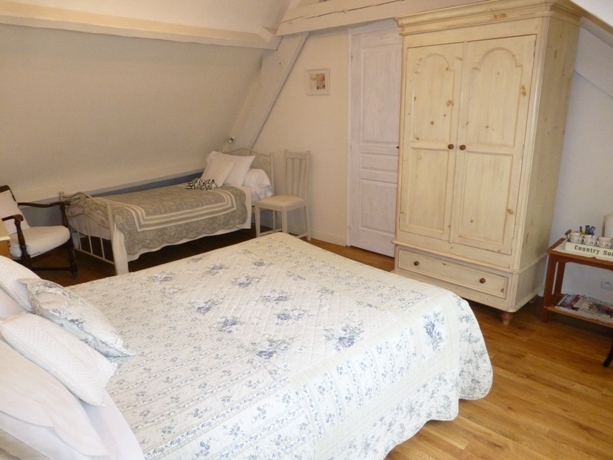 Decorated in tones of blue and natural colours, it is light and spacious with hand painted furniture. 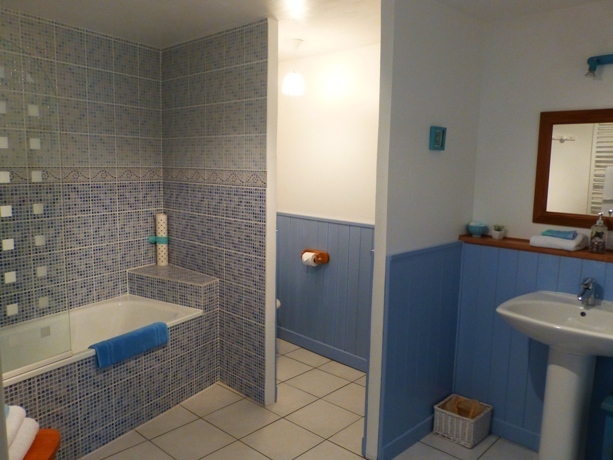 Anais has a large modern shower room. 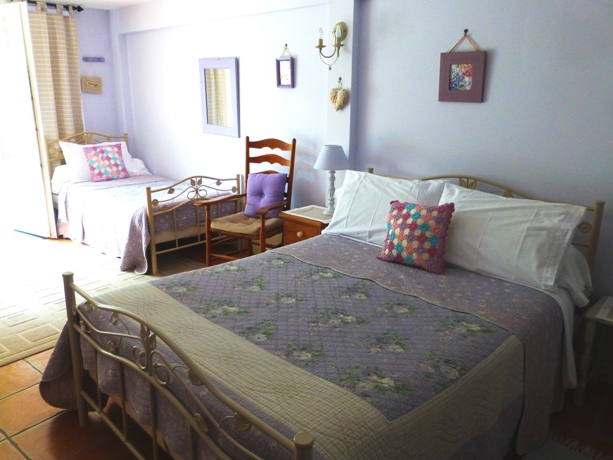 A family room for up to 4 people, decorated in pastel tones of lavender and violet. 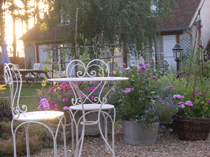 Situated on the ground floor of the barn with double rench doors leading on to a south-facing terrace. 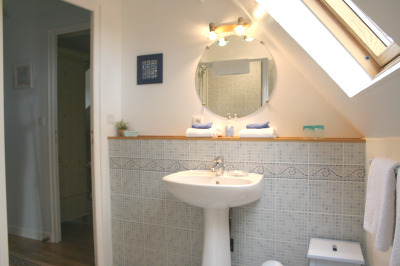 This room has a large family bathroom with bath and shower. 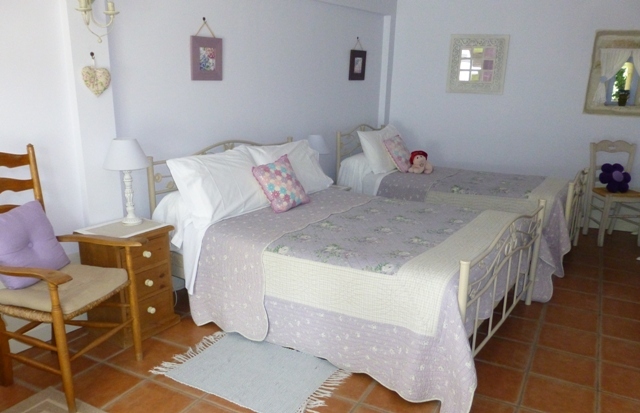 A very cosy and comfortable bedroom for two people with double bed, situated on the ground floor in a private part of the main house. 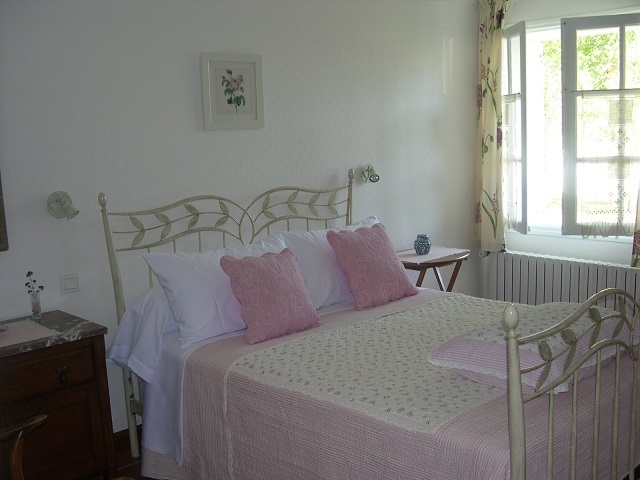 Decorated in soft colours of pink and white with views over the garden. 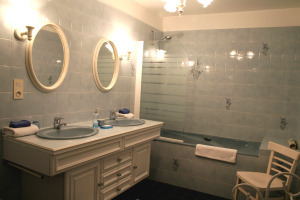 Chloe has a large bathroom with bath and shower. 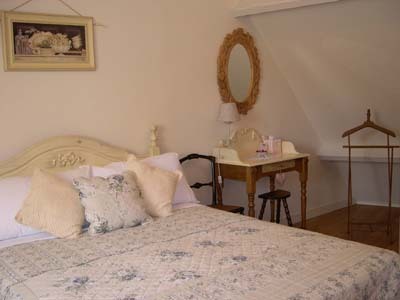 Breakfast is served in the dining room and includes fresh croissant, pastries, baguette, fruit and natural yoghurts, cereals, homemade confiture. It is served at our large farmhouse table.